Have you ever thought to yourself... "Why bother with social media, really? I mean, it's so hard to measure the worth of social campaigns directly. So much of it is just general exposure, and how vague is that? Especially when it comes to paying for this exposure with boosted posts on Facebook." Many people think along these lines, and fair enough too, considering that a business must always consider the return on investment for any venture. The unfortunate part comes when some marketers make the mistake of trying to monetize their efforts on Facebook right there and then, to make it "worth it" sooner rather than later. Don't panic that your social media efforts don't directly lead to sales, as trying to push things in that direction too quickly can actually damage your brand image. It might seem like an excitingly low-cost option for plastering hard-promotions in people's faces, but nobody wants that all up in their face. It's like walking up to a group of friends while they're happily discussing Sue's new baby and interrupting them only to say, "Hey! Want to buy some stuff?" You'd either get ignored outright, or an array of disapproving looks and then ignored. People go to social media to relax. It's a social space. People hate being pitched to in their social space. They'll hate you like a man who's just sat down in front of his favorite channel with a beer at the end of the day hates door-to-door salesmen. You want people to love your brand! You want people to look forward to your posts! You want them to listen to you and go through to your website because they like and respect you. Reason 2: Soon These Promotion-Heavy Posts Won't Even be Been. Facebook is Making Sure of It! Straight from the horse's (or rather, Facebook's) mouth: "Now we’re bringing new volume and content controls for promotional posts, so people see more of what they want from Pages." So keep Facebook content-based. Link to articles and blog posts rather than promotions. Make your status's informative or interesting. There's not much you can do to convince someone in one Facebook post, but there's a lot you can do to convince someone with a whole webpage. You're better off being the cool guy to hang out with, the one who leaves promotions at home. It's not as direct, but it's worth it. In saying that, monetization is important, and it has to happen sometime, so I'm going to show you the 3 best strategies for monetizing this social traffic once you've gotten it to your site. First though, you need to get the traffic there, so I'll cover that quickly. You need to think carefully about which page on your website you'll be promoting. It has to have something that is enticing in itself, like an interesting and informative article, or an e-book that they can grab for free that they might like. You'll decide the specifics of what this will be depending on which of the 3 monetization strategies you choose. You need to link to that page on your website along with the best reason why they should go there, and then Boost that post. Be creative! Get people excited about your website and, in particular, this post. That tagline and the image with the post can make or break the success of your boost, so choose wisely. All the information you could need to know on boosting Facebook posts can be found in last week's blog entry here. So! You're getting them there, they're excited, now what do you do? Give them an article to remember. 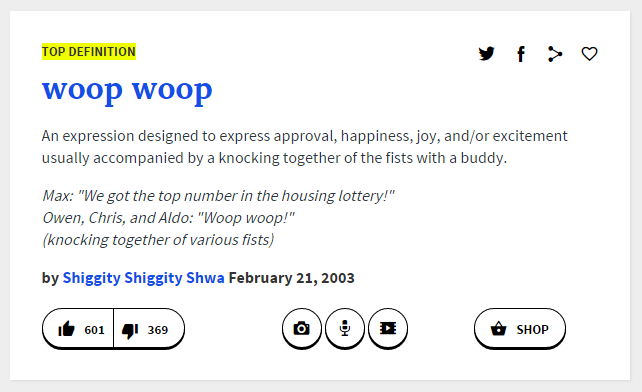 I'm talking like woop woop-worthy content. I know, easier said than done, but if you're struggling for ideas, try this guide here. Think about what they'll actually want to read, and deliver it straight to them. Then, subtly, link to a relevant affiliate product that you promote. Make sure to work this into the content in a seamless way. I particularly like how Dating Metrics does this. It doesn't even link directly to the sales page from the posts (which are informative and entertaining with infographics and humor and everything!). It links to the site's review of the product. It's a bit more drawn out, but it gives the site more of a chance to convince visitors about a product before they leave the comfort of its pages. Boomerang that traffic from Facebook right back at social media with on-page social buttons; it'll create a form of lead for you. This strategy once again relies on you having quality content on your website. Content is a marketing priority for so many reasons, and inspiring people to commit to following your brand via social media is just one of those reasons. If the article you send people to is compelling, and they choose to follow you, then you can continue to send them posts — some of which will have affiliate promotions included. This saves you money, as you're securing continued exposure that won't cost you like boosted posts do. You'll also be increasing your brand reach organically when others share your posts on their own feed. The more your audience grows, the more likely it is to snowball organically. This is much like the previous strategy but with a mailing list rather than a following on social media. You want people to sign up to your mailing list so you can then go on to promote affiliate offers to them in a newsletter series. You can encourage them with a free gift (such as an e-book or audio clip with helpful information for them) that they can get via email; all they have to do is sign up with their name and email. You can then email them regularly with helpful newsletters, and strategically placed affiliate promotions. You could boost a post sending them to an article or blog post on your site, and feature the gift and signup in the side-bar of that page, or at the bottom of that post. You could boost a post sending them to a squeeze page: a page that has the sole purpose of encouraging someone to sign up. It will have the name and benefits of the free gift, as well as the signup form, but nothing else to distract from this focus. So if you're feeling game, try boosting strategic posts, and see if you can't monetize them with one of these methods. 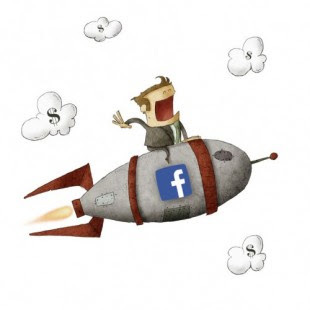 It's going to require a little trial and error, as there are so many variables that could give or take from your success, but rest assured that there is definitely some great potential with Facebook's boosted posts.